Confederate Staff and Field Officer Swords for sale are 36 inches in all. 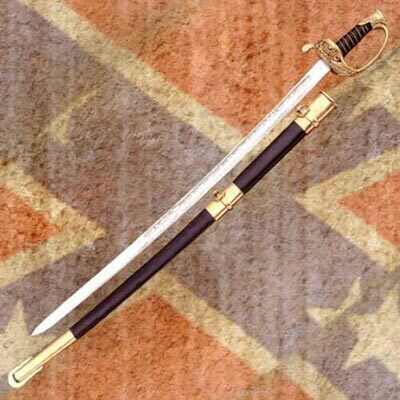 The handmade Confederate Staff and Field Officer Swords are hand forged and fully tempered of 1095 high carbon steel. They feature a functional and flexible 31 inch blade that is engraved and highly detailed. The blade engravings include the initials CSA, a cannon and a battle flag. These military swords have a real leather wrapped grip that has a brass wire wrap. 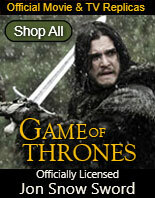 They are authentically reproduced of the Boyle, Gamble and McFee sword. All of the fittings are hand finished in real brass including the fittings on the metal scabbard. The knuckle bow features the five pointed star and the letters CS. 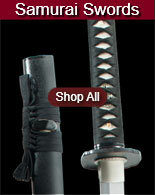 Buy the popular Confederate Staff and Field Officer Swords for $149.99.